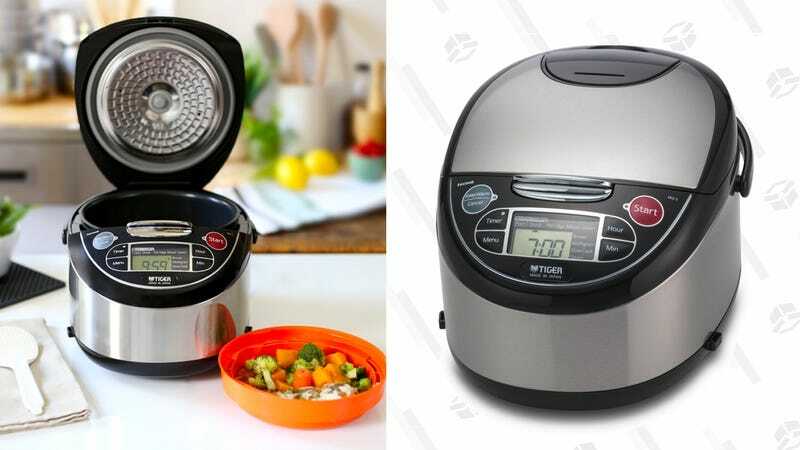 Tiger might not be the most well-known brand name here in the States, but the Japanese company has been making rice cookers for nearly 100 years, and two of them are $24 off today. These can also function as food steamers and slow cookers and, unlike cheaper rice cookers, they actively monitor the temperature to optimize cook times and temperatures for each meal. Take your pick between the 5.5 cup or the 10 cup. Just remember, you’ll need to log into a Rakuten account and enter the promo code TIGR24 at checkout.